Text WISH to 91757 every Wednesday for a chance to win magical prizes! Boom Zahramay, magical things are coming your way! Shimmer and Shine products have arrived and we’re celebrating with Wishing Wednesdays! Each Wednesday throughout September, you can text WISH to 91757* for a chance to win some all-new Shimmer and Shine gear! Help us celebrate by setting up a Wishing Wednesdays play group for your genies in training. 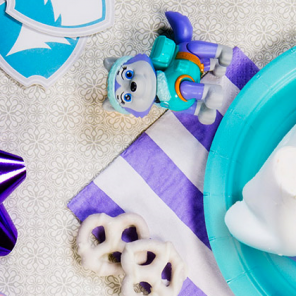 We know planning the perfect playdate can be stressful, so we’re giving you some Shimmer and Shine-themed tips and activities to ensure the day is magical! Share your playdate tips and tricks and photos of the sparkling spectacle with #WishingWednesdays. 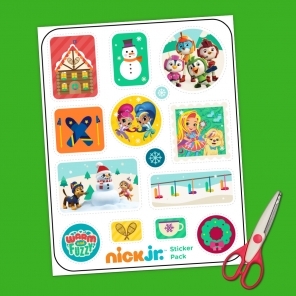 Playdates are a great opportunity for kids to learn how to play and share with others. Imagination play is important for children, so immerse them in world of Shimmer and Shine with the Magic Flying Carpet. Everyone can use a little glitter! 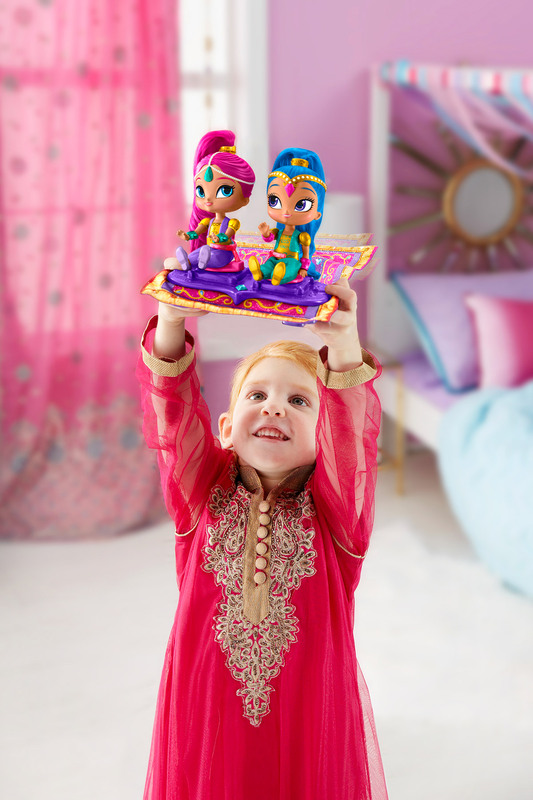 Set up a Shimmer and Shine fashion show and let them channel their inner sparkle down the magic carpet. 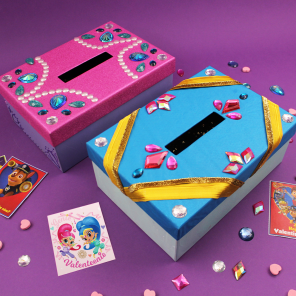 Grab different costumes, dress up sets, and fun accessories from this dress up trunk, and let them channel their inner sparkle! Instead of just serving a snack, have the kids help prepare it! 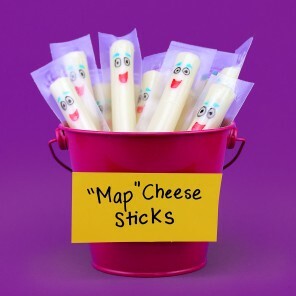 Try out these kid-friendly, mom-approved recipe ideas like Genie Gem Snacks or gem cookies. 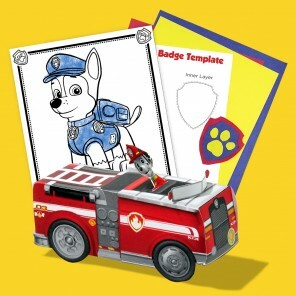 Set up a coloring station to keep them busy and channel their creativity. 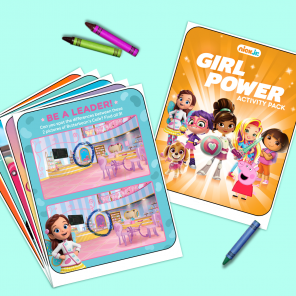 Pick up some crayons and a Shimmer and Shine coloring book, or print on your very own activity packs right here. 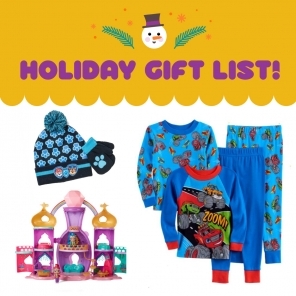 If your kids are too young for friend sleepovers but are asking, stage a mock Shimmer and Shine Slumber party by letting them wear their fave pajamas just like in this Genie Sleepover Gift Set. Lay out their Shimmer blanket to create a cozy corner and pop in their favorite DVD. When it’s time for your little one to go to their bestie’s house, send them off in some glittery gear like this tunic and leggings outfit or this short-sleeved tee. Pack them an extra pair of clothes and their favorite toy in their Shimmer and Shine backpack. So, get those two thumbs up and ready to text, and don’t miss Shimmer and Shine weekdays on Nickelodeon. *See the official sweepstakes rules here. Message and data rates may apply. NO PURCHASE NECESSARY. Void where prohibited. Open to legal residents of the United States who are at least 18 years of age or older at the time of entry.